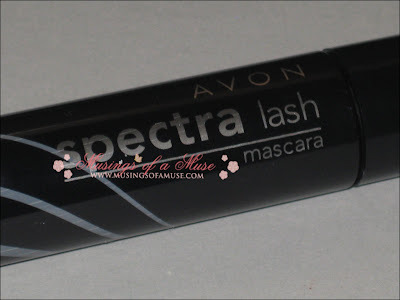 Last week the Muse was busy dialing Jenny’s number but she can stop all that now and dial the new Avon Spectra Lash Mascara up for a good time! It’s probably easier as Jenny hasn’t been answering since 1983, the Muse suspects she isn’t as hot as she once was. You know you so want technology like this! 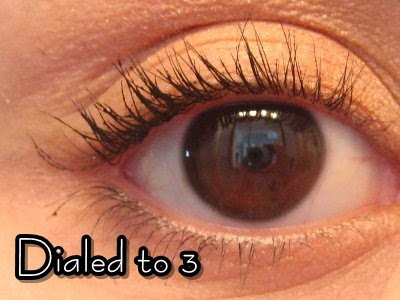 Mascara with a built in dial that dials up to three to intensify your mascara experience. Bill Gates and Steve Jobs are so cranky they didn’t come up with this incredible concept before Avon! 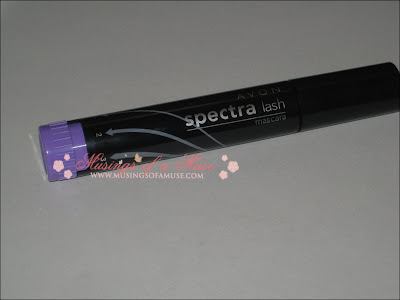 Supposedly Avon Spectra Lash dials up 8x fuller lashes with just three clicks, the Muse thinks it’s easier than dialing 867-5309, I’m kinda lazy, three numbers is easier than seven. The question remains does it work. Ummm actually yes kinda it does! 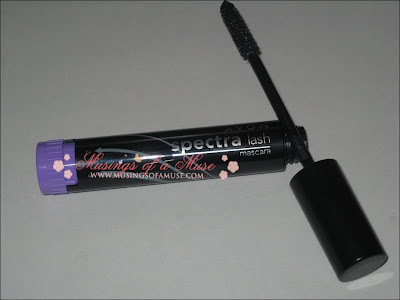 It’s a bit gimmicky yes but that doesn’t take away from the fact that’s it’s a decent mascara with a great price tag. Hello $6 USD mascara it’s good to meet you, let’s be BFF in this scary economy, I’ll even let you hold my hand! So the gimmick would be the dial but technically speaking since the dial does sorta work maybe it’s not a gimmick. Dialing 1 will get you full lashes, dialing two gives you fuller lashes, and dialing three gets you oh my god fullest lashes. I’ve no idea the technical side of this innovative, crazy cool dial but I suspect by twisting the dial you’re compressing the tube somehow and it gets you more or less mascara on your brush which in turn creates the fuller or less fuller look to lashes. 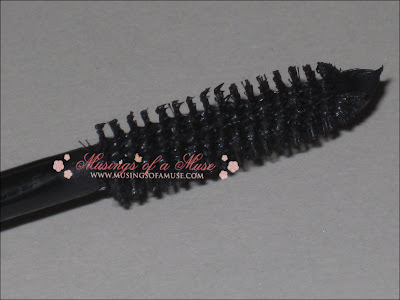 In simple terms the mascara simply adds more or less mascara to the brush to create fuller lashes. The overall formula is quite good with a nice inky formula. It’s waterproof and has nice long wear. It doesn’t keep curl particularly well but it does a great job of creating fuller, longer, thicker lashes when dialed up to three. 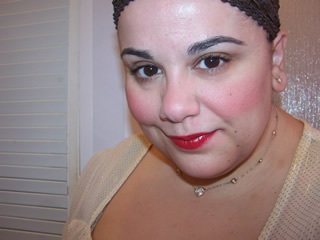 I prefer the mascara stay dialed to three for the best results as 1 and 2 give my lashes a rather whimpy look but dialed to three they look nice and plump. However, you do have to be careful as this setting puts quite an excess of product on the brush which could cause clumping when applied. 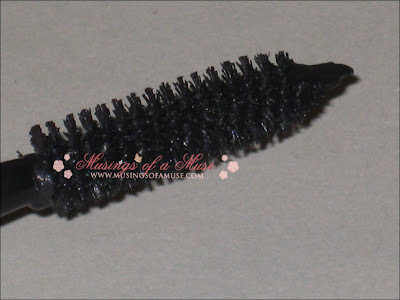 Be sure to curl prior to use and brush on slowly at first to avoid a clumpy look. 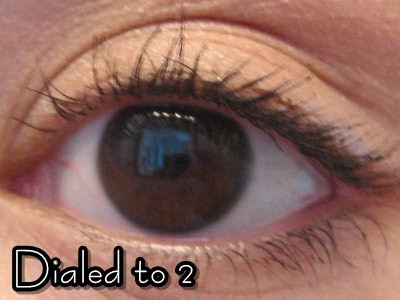 I took three photos so you can see the difference each time I used the mascara with a different dial. I also took photos of the brush dialed on different settings. 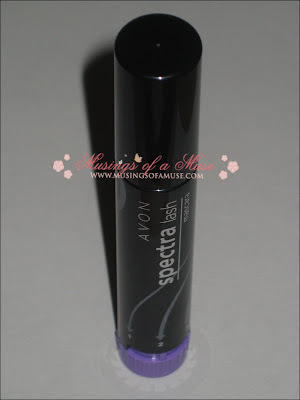 All in all I think for the price Avon Spectra Lash Mascara performs quite well. Available in four shades for a $6 USD price tag makes it a nice Beauty on a Budget purchase. 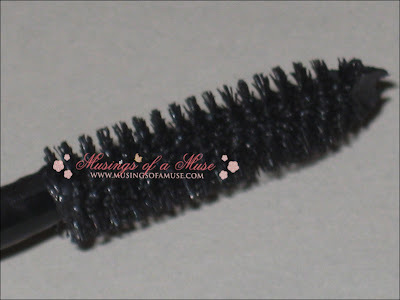 It’s worth checking out for the price as it performs quite well plus you get the novelty of whipping it out of your purse and showing your friends how you can dial your mascara….whoa…the coolness is just too much for this Muse! omg I just tried this today and I love it! 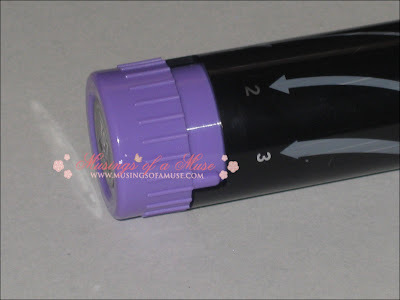 It so reminds me of a cheaper alternative to that new MAC mascara! 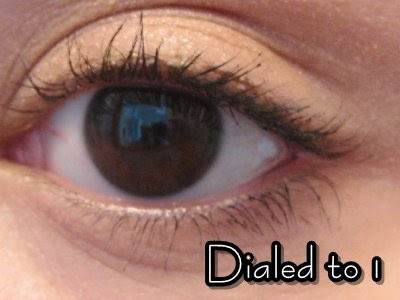 ha cool misstat, love dial mascaras! so retro!